While the quality of life in Kenosha County is among the nation’s best, housing prices are among the most affordable. Choose from communities of virtually every size and type from historic neighborhoods and quaint villages and suburbs, to lakeside condos in the heart of downtown. We’re home to housing options that will balance your life and stretch your paycheck. Kenosha County residents appreciate community. Moving to this area is not just buying or renting, it's finding a new home. Whether its a downtown apartment with a stunning view of Lake Michigan and a short walk to brunch, or a suburban neighborhood with neighbors that are like family, Kenoshans will welcome you and make you feel at home. This sense of shared history and excitement for its bright future really sets Kenosha County apart - along with its diverse, surprisingly affordable housing options. Kenosha County has a diverse set of housing options: urban/downtown, traditional neighborhoods, suburban developments, condos/townhomes, lakefront property, country living and more. Explore all the opportunities and find the one that fits your lifestyle. More than 2,000 rental units have recently been added or are currently under construction in Kenosha County. Whether you're looking for an exciting downtown loft or a larger development with all the amenities, you can find what you're looking for in Kenosha County. A lot more for a lot less. Your money goes further in Kenosha County. Kenosha County's median home cost is 31% lower than the national average. It's overall cost of living is 3 points below the national average. On top of that, Kenosha County’s violent crime rate is 8.9 points below the national average. Keep more money to do the things you want and set yourself up financially for the long term - while still enjoying a high quality of life. In the business of building single-family & condominium communities since 1975, Bear Homes has earned a solid reputation for customer service and quality craftsmanship among its many satisfied customers in SE Wisconsin and NE Illinois. We understand that your home reflects who you are, your lifestyle and your personality. Our philosophy is to take a hands-on approach and simplify the custom home building process for you. "A home is one of the most important assets that most people will ever buy...you want to work with someone you can trust." You don’t choose a home because you love the paint color. No, an investment this big demands in-depth knowledge so you can buy with confidence. That’s where we come in. Our agents can provide more property data, including sale price history, neighborhood info and real-world context than other agents nationwide. We’ll not only pull the numbers, but also review each and every item with you until you’re certain that you’re making a smart investment. At Market Square Apartments, we offer tenants the opportunity to reside in high quality, spacious apartment homes equipped with modern amenities. Our Kenosha, WI apartment community includes studio, one, two and three bedroom homes in several floor plans. Attached or detached garages are also available. Market Square is centrally located near shopping venues and offers onsite amenities such as a pool, dog park, fitness center and community room. Kenosha County is in the heart of the Chicago-Milwaukee corridor with nearly 3.5 million people living within commuting distance. Interstate-94 - which runs directly through the county from beyond Chicago through Milwaukee - is one of the busiest interstates in the nation seeing an average of more than 80,000 cars per day. In addition to a public bus system and municipal airport, Kenosha County also has three major international airports within an easy drive, a Metra commuter train station that speeds passengers to downtown Chicago, and an electric streetcar that circles the downtown area. "Knowing that I can skip the congested rush-hour drive and relax on the train with a cup of coffee while catching up on emails is a highlight of my mornings when I commute to Chicago from Kenosha. It’s the best of both worlds — being able to live and play in the beautiful, close-knit community (and more attractive cost-of-living) Kenosha offers while having easy access to my professional obligations in the city." Kenosha County has two major healthcare systems with significant operations here. Froedtert South, an affiliate of Froedtert Health and the Medical College of Wisconsin, has two major medical campuses: St. Catherine's in Pleasant Prairie and the Kenosha Medical Center in Kenosha. Aurora Health Care has a hospital located in Kenosha along with a new surgery center and a medical office building that will open in Pleasant Prairie in 2020. There are also numerous medical clinics and primary care providers throughout the county as well as world-class hospitals within a short drive. A great team that wants every patient to have a positive experience with great results. Crawford and Wright Orthodontics is a family practice serving children and adults. Dr. John Crawford and Dr. Jane Wright are a father-daughter team with over 40 years of combined experience straightening teeth, correcting skeletal malocclusions, eliminating myofunctional problems and improving people's quality of life. Both doctors are Board Certified and are adjunct professors at Marquette University. Locations in Kenosha and Paddock Lake.  Doctors of Physical Therapy has 2 convenient locations in Kenosha. We are the only Physical Therapy practice to offer One-on-One care with Doctorate level Therapists. Our evidence-based treatment programs are customized to meet each patient’s and physician’s goals. We engage all of our patients in their recovery program and give them the tools to live a physically healthy life, in less time than the competition. KVNA provides skilled nursing, rehabilitation therapy, private duty health at home services, and community wellness programs, care and training throughout Kenosha County. Our clinicians provide personalized care and teaching that fits the unique needs of the patient’s recovery. Our community care programs provide adult immunizations, diagnostic screens, and training for those who live and work here. KVNA brings health care right to your door!